Think anyone will buy it? 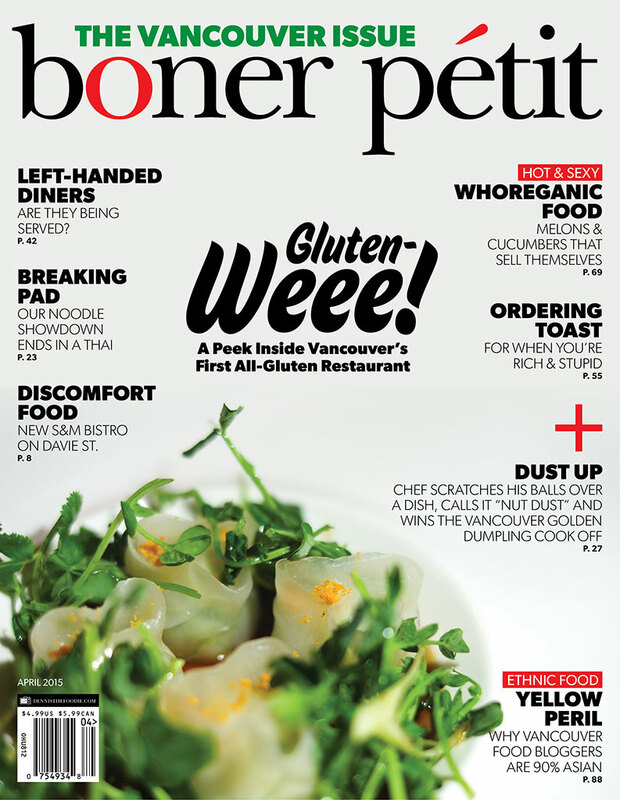 The closest font I could find to the Bon Appetit font was New Baskerville. Type nerds will notice that it’s not quite the same cuz Bon Appetit actually used a custom font inspired by New Baskerville. I used Gibson for the rest, and OCR-B for the UPC area. It was fun. And the photo is from my dinner at Bambudda. Hope it made you chuckle at least! I would totes buy an issue! That’s freaking awesome! Haha, I love it! All-gluten restaurant LOL!